In a week’s time, Apple will have a new tablet on its way to a retail shelf near you. But it can already lay claim to something else iPad-related—the trademark to the name. That’s according to a report posted Friday at PatentAuthority.com, which says that Apple has bought the iPad trademark from Fujitsu. 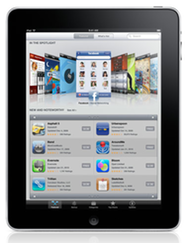 Fujitsu had applied for the rights to the iPad trademark back in 2003, for its own iPad handheld device. But that trademark application had been declared abandoned by the U.S. Patent and Trademark Office early last year. Fujitsu re-opened its application in June 2009 right before Apple started scooping up the rights to the iPad name in other countries. Whatever dispute had been brewing between Fujitsu and Apple over the iPad name appears to be resolved. PatentAuthority.com says the trademark in question—Serial No. 76497338—was assigned to Apple on March 17, according to U.S. Patent and Trademark Office records. This wouldn’t be the first time Apple has announced a new product, only to secure the rights to the name after the fact. Shortly after Steve Jobs pulled the original iPhone out of his pocket to conclude his 2007 Macworld Expo keynote, Cisco Systems filed a lawsuit accusing the Cupertino, Calif., company of infringing on its iPhone trademark. (Cisco’s Linksys division offered VoIP handsets under the iPhone name.) Apple and Cisco settled their dispute in February 2007, agreeing at the time to “explore opportunities for interoperability” in security and communications technologies for consumers and business users. There’s no word in the PatentAuthority.com report as to how Apple and Fujitsu reached their accord over the iPad trademark. But with the sizable amount of cash Apple keeps on hand, I’m sure it’s safe to say that company was easily in a position to make Fujitsu an offer it couldn’t refuse.